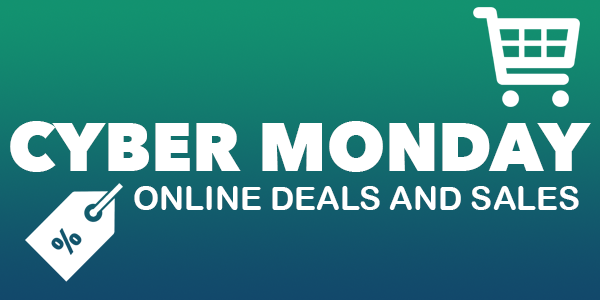 We have collected all the best Cyber Monday 2018 deals from around the web, just like we did for Black Friday. While Black Friday usually offers deals across multiple items and products, Cyber Monday is focused on technology and probably the best time to purchase tech gifts online. Apple iPad Pro 2018 (11-inch, Wi-Fi + Cellular, 1TB) - silver: $1,649 (was $1,699). Apple iPad Pro (10.5-inch, Wi-Fi + Cellular, 256GB) - silver: $819 (was $929). Apple 2018 MacBook Pro (13″ Retina, Touch Bar, 2.3GHz Quad-Core Intel Core i5, 8GB RAM, 256GB SSD) - silver: $1,649 (was $1,799). Apple 2018 MacBook Pro (13″ Retina, Touch Bar, 2.3GHz Quad-Core Intel Core i5, 8GB RAM, 512GB SSD) - silver: $1,849 (was $1,999). Apple 2018 MacBook Pro (15″ Retina, Touch Bar, 2.2GHz 6-Core Intel Core i7, 16GB RAM, 256GB SSD) - silver: $2,149 (was $2,299). Apple Watch Series 3 (GPS, 38mm) – Silver Aluminium Case with White Sport Band: $199 (was $280). Apple Watch Series 3 (GPS, 42mm) – Silver Aluminum Case with White Sport Band: $229 (was $350). Apple Watch Series 3 LTE (GPS + Cellular, 38mm) – Space Gray Aluminum Case with Black Sport Band: $299 (was $379). Apple Watch Series 3 LTE (GPS + Cellular, 42mm) – Space Gray Aluminum Case with Black Sport Band: $329 (was $409). Apple iPhone 8 - $499 ($100 off) at Walmart. Apple iPhone 8 Plus - $599 ($100 off) at Walmart. You can get these deals on the Google Store. Get these discounts on the Microsoft Store. You can get these deals on the OnePlus Store. Samsung Galaxy Note 9 - $700 when you activate on Verizon, AT&T or Sprint OR $800 unlocked. Samsung Galaxy S9+ - $540 ($300 off) when you activate on Verizon, AT&T or Sprint OR $640 unlocked. Samsung Galaxy S9 - $420 ($300 off) when you activate on Verizon, AT&T or Sprint OR $520 unlocked. Google Pixel 2 XL - $450 ($400 off) when you activate on Verizon and purchase on 24-month installment plan. Google Pixel 3 - $600 ($800 off) when you activate on Verizon and purchase on 24-month installment plan. Google Pixel 3 XL - $800 ($900 off) when you activate on Verizon and purchase on 24-month installment plan. Apple Watch Series 3 - $50 off. Get the latest deals over on the Best Buy - Cyber Week Deals page. Get these and many more Christmas shopping items on the Walmart Cyber Week Deals page. The following smartphones are eligible for AT&T's "Gifts of Galaxy" promotion. Buy Samsung Galaxy Note 9 and get a second one 75% off + $200 in credits with eligible trade-in. Buy Samsung Galaxy S9+ and get $790 in credit toward a second smartphone. Buy Samsung Galaxy S9 and get $790 in credit toward a second smartphone. Buy the Samsung Galaxy Watch and activate it on AT&T for a $60 discount in the form of credits. Samsung Galaxy S9 - $350 (50% off) for new customers. Samsung Galaxy A9 - $170 (50% off) for new customers. You can find these and more deals on the Cricket Deals page. FREE Apple AirPods ($160 value) when you buy a qualifying iPhone or brings your own iPhone. Samsung Galaxy A6 - $100 + BOGO (was $329) with a new unlimited Metro plan. LG Q7+ - $100 (was $359) + BOGO with a new unlimited Metro plan. Get these and other deals on the MetroPCS website. Apple iPhone XR - FREE with purchase and activation of iPhone XS, iPhone XS Max or iPhone XR on Sprint. Apple iPhone 7 - $4.17 per month on device 24-month payment plan. Apple Watch Series 4 - $100 off for new and returning customers. Samsung Galaxy Note 9 - $20 per month on 18 months lease. Samsung Galaxy S9+ - $10 per month on 18 months lease. Samsung Galaxy S9 - $5 per month on 18 months lease. LG G7 ThinQ - $15 per month on 18-month lease. LG V40 ThinQ - $20 per month on 18-month lease + FREE 49-inch 4K Ultra HD Smart LED TV. You can check these deals and much more out on the Sprint Deals page. Google Pixel 3 - $100 off or $300 in savings with activation of new line. Google Pixel 3 XL - $100 off or $300 in savings with activation of new line. Samsung Galaxy Note 9 - $100 off or $300 in savings with activation of new line. Samsung Galaxy S9+ - $100 off or $300 in savings with activation of new line. Samsung Galaxy S9 - $100 off or $300 in savings with activation of new line. Apple iPhone 6s - $5 per month for 24 months on device payment plan. Motorola Moto Z3 - $5 per month for 24 months on device payment plan. Samsung Galaxy S8 - $10 per month for 24 months on device payment plan. LG G7 ThinQ - $10 per month for 24 months on device payment plan. Google Pixel 2 XL - $14.99 per month for 24 months on device payment plan. Get these and more deals on the Verizon Deals page.